The Liangzhu culture (5,300-4,300 cal B.P.) represented the peak of prehistoric cultural and social development in the Yangtze Delta. With a wide sphere of influence centred near present day Hangzhou city, the Liangzhu Site Complex is considered one of the earliest urban centres in prehistoric China. Its centre is located near nowadays Hangzhou city and is considered one of the earliest urban centres in prehistoric China. Although it remains a mystery for many in the West, Liangzhu is well known in China for its fine jade crafting industry; its enormous, well-structured earthen compound and recently discovered hydraulic system; and its far-flung impact on contemporary and succeeding cultures. Liangzhu Culture contextualises Liangzhu in broad socioeconomic and cultural backgrounds and provides new, first-hand data to help explain the development and structure of this early urban centre. Among its many insights, the volume reveals how elites used jade as a means of acquiring social power, and how Liangzhu and its centre stand in comparison to other prehistoric urban centres in the world. 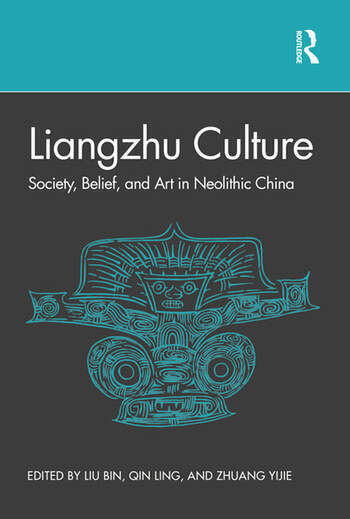 This book, the first of its kind published in English language, will be a useful guide to students at all levels interested in material cultures and social structures in prehistoric China and beyond. Professor Bin LIU is Professor and Director of Zhejiang Provincial Institute of Cultural Relics and Archaeology. He has joined or directed excavations at the Fanshan, Yaoshan, Huiguanshan, Nanhebang sites, and the Liangzhu city since 1985. His main research interests include prehistory of the Lower Yangtze River and the archaeology of jade. Dr. Ling QIN is Associate Professor of Neolithic Archaeology and Archaeobotany at the School of Archaeology and Museology, Peking University, Beijing. Her research interests include scientific research on Neolithic jades in Eastern China, early agriculture developments in the Lower Yangtze River and Southwest China, and comparative perspective on civilisational discourses across East Asia. Dr. Yijie ZHUANG is Senior Lecturer in Chinese Archaeology at Institute of Archaeology, University College London. He applies geoarchaeological approaches to reconstruct ecologies of early agriculture and long-term land use changes in East, South and Southeast Asia. He is also interested in the comparison of diverse trajectories to social complexity in these regions.